Podcasts make your learning quick and easy, and they go wherever you go! 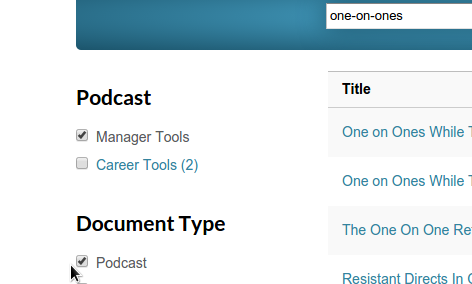 Manager Tools podcasts are aimed at managers and directors. Career Tools has information helpful for everyone, no matter where they are in their career. There’s a Manager Tools podcast for dealing with every situation you find yourself in. 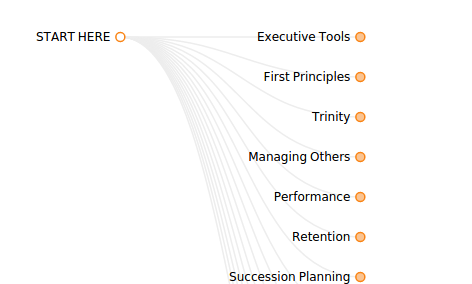 Whether it’s a big deal (like succession planning) or an easy fix (agendas in meetings), we’ll tell you exactly how to proceed, in detail. From hiring to managing your admin and from performance reviews to body odor, there’s a cast for that. It’s not enough to be good technically and get good results. The more successful you are, the more you need relationships. Career Tools podcasts help you be more effective in both areas. Get the respect and recognition you deserve. Begin listening right away. 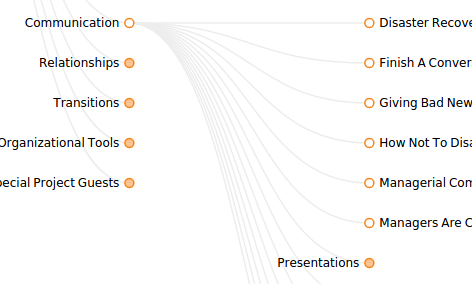 Step 1: Choose a topic and click the solid orange circle. More sub-topics and/or podcasts will appear. To go back, click the empty circle on the previous layer until you're at the next to the topic or subtopic you want to go to. To find out more about a title, hold your mouse over it to see a short description. 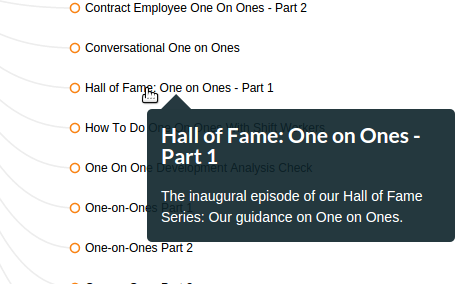 Step 3: Hold your mouse over a title to find out more. To read the full description, and to start playing, click the title itself. 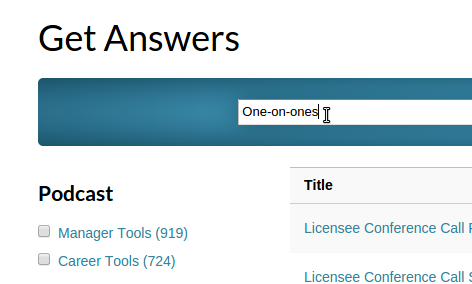 Type the word or phrase you'd like to search for in the Get Answers search bar. Click or tap on the Search button. Use the filters on the left hand side to narrow down the selection until you find what you wanted. To get the details about the podcast and to start playing, click the title itself. The podcasts are actionable guidance about specific topics. For more general business and career recommendations, opt-in to our Newsletter.